Ouch! It's nice to see the boys efficiently harmonizing and playing snappy music, but it has to be good music, and that's hard to conclude for Open Your Eyes. There are enough good reviews here to adequately convey what a poor, money-grabbing effort this was by the Yes- sters, so there's no need to jump too high up on the bandwagon. 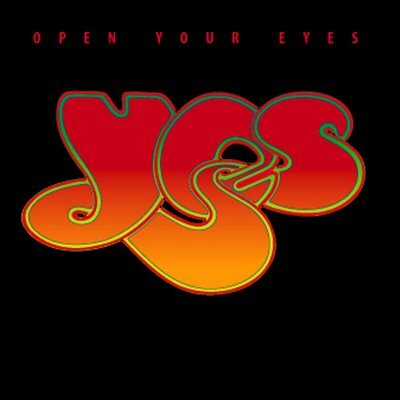 I will say that the first three songs are somewhat likeable, and it's nice to here Chris Squire alive again on Man In the Moon, but the thing as a whole can be summed up in one word - sucky. And how foul it was to have over 14 minutes or so of ambient filler at album's end for the listener to have to sit through (or fast forward past). I bought the thing when it first came and got rid of it to a used record store just as fast. Over the years, I'd wondered if I hadn't been too hasty, so I snapped it up recently at same said used record store only to be assured that my first instincts had been sound. Unless you want to make the same mistake, just stay clear of Open Your Eyes altogether. For die-hard completists only, I'm afraid.